Her headaches were constant and vice-like. So extreme was the pain that it ruined any chance of a decent night's sleep, and left Julia Taylor reduced to little more than 'a walking zombie'. As soon as the World Health Organization International Agency for Research on Cancer expert review declaring cell phone radiation a "possible human carcinogen" -- just like lead, DDT, and jet fuel -- was drafted in 2011, the global multi-trillion dollar cell phone industry set up a quarter of a billion dollar defense fund to produce and promote science that would discredit the WHO. Whenever a report pops up questioning cell phone safety, a contrary report stands ready in the wings to cast doubt about its legitimacy. Attention pregnant women: put down your cellphone. Cellphone radiation exposure during pregnancy impacts fetal brain development and may cause hyperactivity, Yale School of Medicine researchers say. Mobile phones can cause brain tumours, court rules. Innocente Marcolini, 60, an Italian businessman, fell ill after using a handset at work for up to six hours every day for 12 years. Now Italy's Supreme Court in Rome has blamed his phone saying there is a "causal link" between his illness and phone use, the Sun has reported. 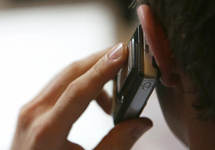 MOBILE phones CAN cause brain tumours, according to a landmark court ruling. Italian businessman Innocente Marcolini, 60, fell ill after using a handset at work for up to six hours every day for 12 years. Now Italy's Supreme Court in Rome has blamed his phone. Experts have predicted a flood of legal actions from victims. Stricken Mr Marcolini last night warned: "People must be told the risks." Is your Mobile Killing You? Scientists have called for urgent research into links between mobile phones and cancer after it was revealed there has been a 50% increase in brain tumours since 1999. Surfing the internet on a laptop that is connected with wireless technology can damage sperm counts, a study suggests. "There's no denying these gadgets are fun; my kids love them too," says Rachel Lincoln Sarnoff, Executive Director and CEO of Healthy Child Healthy World. "But these technologies are developing faster than our ability to understand potential health impacts. Mobile phones could be a 'health time bomb', say experts who are urging ministers to warn the public. More than 200 academic studies link use of the devices with serious health conditions such as brain tumours, according to a group of leading scientists. In a report published yesterday, they say the Government is underplaying the potentially 'enormous' health risks – especially for children, whose smaller, thinner skulls are more susceptible to radiation. Mobile phone users could be increasing their chances of developing brain cancer, experts have warned. Scientists for the International Agency for Research on Cancer (IARC) said radiofrequency electromagnetic fields associated with mobile handsets potentially increase the risk of glioma, a malignant type of the disease. Mobile phones may increase the risk of developing brain cancer, an influential health organisation has said admitted for the first time. MOBILE phones may cause brain cancer, world health chiefs claimed yesterday. Some 30 scientists from 14 countries reviewed previous studies last week. They concluded that electromagnetic fields from mobiles and other wireless devices presented an "increased risk" of glioma - a malignant type of brain cancer.